We have 10 years of experience in placing the right people in the right position. KAT Technologies provides staffing services globally. 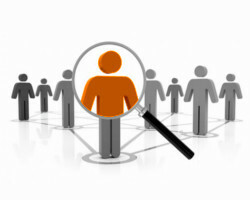 We believe on company’s needs and provide right candidates for their unique requirement. We have defined our own methodology for the staffing services. We provide personalized services which is efficient, friendly and honest. This gives the more relax to the client from non-core operational efforts and gives more time to focus on the core business of the company. Pune is a cyber city, which is inspires us to provide good people to the right place in the company. KAT Technologieshave an in-depth experience in the service industry. We are more than just manpower consultants. In IT Indian professionals are valued for their qualification, quality work, commitment and efficiency. We put a timeline in place to ensure our staffing services are delivered to meet your business needs, with the level of quality you deserve. As always, our approach is one based on strong relationship management. Our client trusts us for their unique need of organization and to bring responsibility, commitment and transparency to each and every assignment. Through our best in class operational, technical and compliance infrastructure, we are uniquely positioned to meet this goal. We focus on reducing our clients overhead, so threat they focus on the core operations of their business.